High-Security Laser Cut Car Keys For A Honda. Laser cut car keys are precise, high-security keys that many of today’s drivers rely on to operate their vehicles. 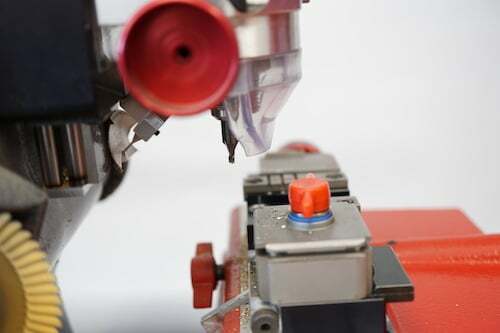 1800-Unlocks works with trained professionals and state-of-the-art equipment needed to make these keys. Laser cut car keys offer an extra layer of security protection because they are difficult to duplicate and need special equipment for their creation. Even car ignitions that use laser cut car keys are more difficult to rekey because of their specialized design. Our network of family-owned, trained professionals have the expertise needed to originate, duplicate, and even program these high-security keys. Whether you’ve lost your car key or need copy, you can count on 1800-Unlocks. With verified partners all over the USA, we’re easy to find in your city! We Can Cut Keys By VIN! 1800-Unlocks features highly trained mobile auto locksmiths as well as certified professionals with real lock shops. 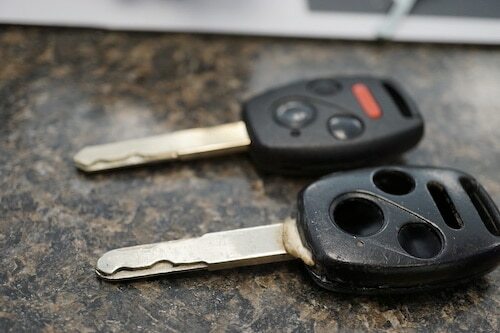 If you break your key in your door lock or ignition when you’re on the road somewhere in the USA, you can contact us and we can send out a mobile locksmith to create laser cut car keys right on the spot. Our locksmiths are typically members of NASTF and are authorized to access key codes that enable us to program car keys for your vehicle’s ignition and doors. If you go through your dealer, you’ll likely have to pay a small fortune for this service. 1800-Unlocks offers fair rates to create your laser cut car keys or to provide you with any of our other professional locksmith services. If you have an on-the-road emergency, contact us for emergency roadside locksmith service. If you need a professional locksmith for your auto, business, or commercial property, be sure to call the leader: 1800-Unlocks. Our locksmiths are certified and rely on many of the industry’s most celebrated products. Our equipment is top-of-the-line, expertly calibrated, and waiting to serve you. Remember, we also feature emergency service, so never hesitate to call us when you need us!